With the Easter long weekend fast approaching, the mind starts to wonder about how exactly you’ll spend four entire days not at work. The only other time of year that you get this much time off is Christmas, and let’s face it, a relaxing time is not had by anyone there, so this is really your only time to indulge in some proper R & R. No pressure! Instead of just vegging out on the couch, ordering take out and indulging in a marathon Netflix sesh (though, that does sounds really tempting), four days is the perfect amount of time to get out and explore this big ol’ world of ours. To get you in a wanderlust kind of mood, we’ve teamed up with MasterCard to bring you our picks of the best spots to spend Four Priceless Days this Easter long weekend. Happy holidays! Jump on a flight to New Zealand’s bustling metropolis, Auckland for an adventure-filled long weekend! Auckland is chock full of all the eating, wine drinking, adventure sporting, shopping spree-ing and scenic ooh-ing and ahh-ing you can handle. While you’re there, be sure to hop on a boat cruise of the crystal waters of the Hauraki Gulf, and check out Auckland’s rugged west coast for incredible walks and views out across the Tasman (blow away a few cobwebs!). For more epic itinerary ideas in Auckland, click here. The jewel in Indonesia’s crown, Bali has long been top of travellers bucket lists, and for good reason. A melting pot of old and new, Bali has the perfect balance of idyllic coastlines, vibrant towns, incredible cuisine (reason enough to get on a plane right now! ), ancient traditions and unique culture in spades. Looking to completely unwind? 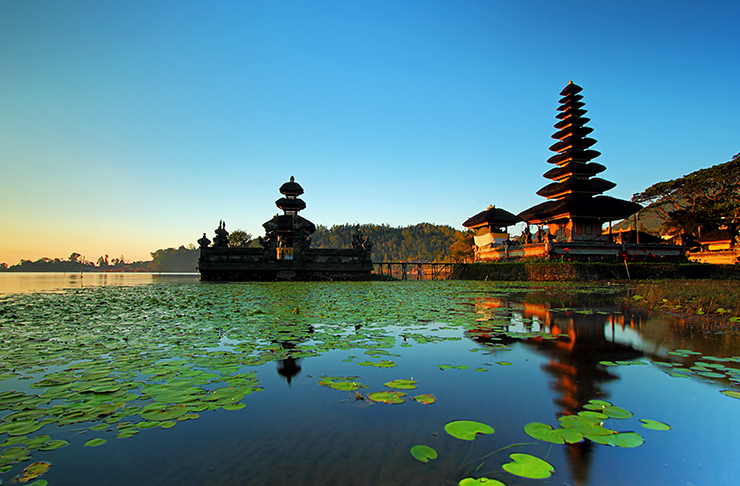 A stay at any of Bali’s coastal towns, such as Seminyak or Uluwatu will do the trick. Wanting some of that irresistible Balinese culture? Ubud, in the heart of the island, is pitted with rice paddies, stunning rainforests, and happens to be the arts and culture hub of the island. Wherever you end up in this incredible part of the world, there are worse ways to spend four days in total paradise. For more epic itinerary ideas in Bail, click here. Jam-packed with things to do, you’ll need at least four days to even scratch the surface of Australia’s second largest city! Melbourne’s laneway culture is infamous, not least for their unique cafes, boutiques and plethora of food options. You won’t go hungry here! Centre Place and Hosier Lane are great starting points for caffeine hits and jaw-dropping graffiti works, oh and shopping, lots of shopping! The perfect city break for culture vultures, Melbourne is also the gateway to the stunning Mornington Peninsula, the Great Ocean Road, Yarra Range National Park. Spoilt much? For more epic itinerary ideas in Melbourne, click here. Whether you’re here to party or for peace and quiet, Phuket is anything but boring! From incredible beaches, to a vibrant nightlife, this island is perfect if you want to explore the beautiful island by day, and let your hair down at night. With more than 500km of pristine coastline, it would be a crying shame not to get some quality coast time in. Check out Karon and Kata beach for white sands and pristine waters. 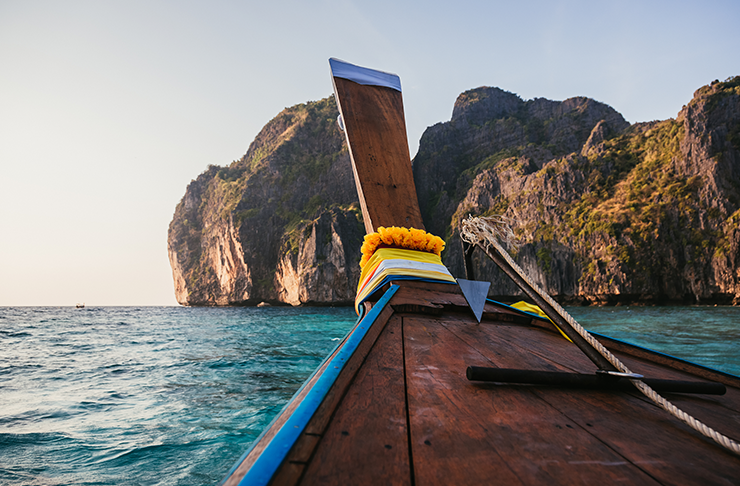 For the adventurous, Phuket has some of the best diving sites in the world, as well as rainforest treks and infamous lookout points and dozens of beautiful temples. Thailand wouldn’t be Thailand without a few jaw-dropping temples! For more epic itinerary ideas in Phuket click here. Aptly named the Sunshine State, Queensland is the ultimate Aussie getaway. With more than 261 days of pure unadulterated sunlight each year (everyday is summer here), some of the absolute best beaches in the world, a little thing called the Great Barrier Reef (one of the seven natural wonders of the world, no biggie), from the tropical north to the cosmopolitan south, Queensland is Australia’s playground. Spend a few days at either the Sunshine or Gold Coast, chilling at some of the most spectacular beaches in the country. Dive, snorkel, or even just swim the Great Barrier Reef; Hamilton Island is the southern-most gateway to pristine waters and mind-boggling marine life of the reef. Hit up Brisbane city, the states capital, and experience the thriving local food scene, maybe even catch an award-winning show at QPAC. For more epic itinerary ideas in Queensland, click here. Sitting along the stunning shore of Lake Wakatipu on New Zealand’s South Island, Queenstown is a visual feast for the eyes. Surrounded by the snow-capped Southern Alps, and with the Central Otago region (aka Pinot Noir country!) 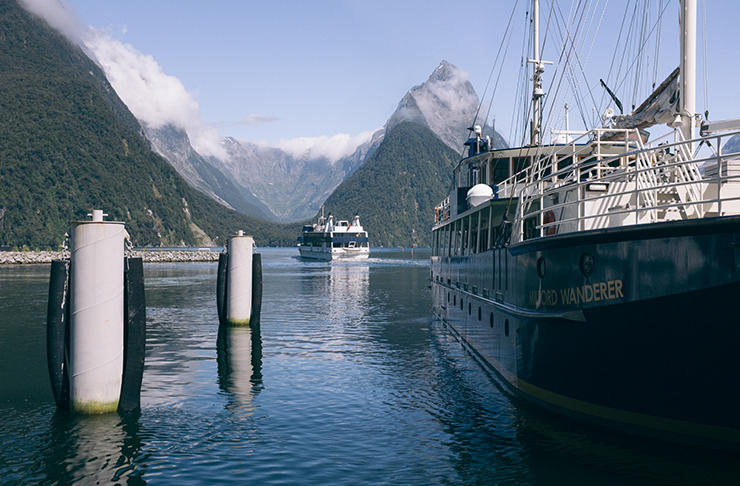 on your doorstep, Queenstown is an explorer’s paradise! Get the adrenalin rushing with a whole host of outdoor activities; from snowboarding atop The Remarkables ski fields to canyon swinging (this is an actual thing) or kayaking that gorgeous lake, nature is on your doorstep, so enjoy the outdoors this long weekend! For more epic itinerary ideas in Queenstown, click here. Want a dose of bright lights, big city? Sydney is everything you could want in a long weekend destination: epic beaches—Bondi, Tamarama, Manly, Bronte, Avalon, need I go on?—, some of the best shopping in Australia, a thumping bar and dining scene, beautiful national parks, and spitting distance to the Blue Mountains and Hunter Valley! It’s exhausting just thinking about all the things to do in the harbour city! A city of unique suburbs, iconic spots like Surry Hills, Paddington and Darlinghurst are a must for any out-of-towner looking for unique shopping finds and hole-in-the-wall coffee haunts the locals love. With the weather still sweet at this time of year, arguably the best way to see Sydney’s stunning coastline is dong the Bondi to Tamarama coastal walk. Stunning! For more epic itinerary ideas in Sydney, click here. Editors note: This article is sponsored by MasterCard Four Priceless Days and proudly endorsed by The Urban List. Thank you for supporting the sponsors who make The Urban List possible. Click here for more information on our editorial policy.